It’s looking positive for the mortgage market in 2014. Home loan enquiries reached four-year highs in the fourth quarter of 2013 and they are forecast to continue rising in the near term, according to Veda Insights. 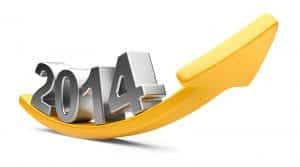 All states saw year-on-year growth in terms of volume of mortgage enquiries, according to Veda’s Quarterly Consumer Credit Demand Index, enquiries rose by 15.3 per cent year-on-year, and four states enjoyed double-digit growth: New South Wales with 22.2 per cent, Victoria with 15.2 per cent, and Queensland and Western Australia, both with 11.9 per cent. Veda’s General Manager of consumer risk, Angus Luffman, said mortgage enquiries and house prices should continue to rise in the “near term”. “An extended period of low-interest rates is supporting the lift in mortgage enquiries, which have stepped up a level and are now showing the strongest growth since late 2009,” said Mr Luffman. Driven not only by continued low-interest rates, RP Data’s Craig Mackenzie suggests strong consumer confidence and public expectations that property values in markets such as Sydney, Melbourne and Brisbane will continue to rise in 2014, will all contribute to a strong mortgage market in the year ahead. This is supported by recent Roy Morgan Consumer Confidence Ratings suggesting consumer confidence is stable, with Australians being slightly more confident about their personal finances over the next 12 months. The results show 41 per cent of Australians are expecting to be ‘better off’ financially this time next year, compared to only 13 per cent that expect their family to be ‘worse off’ financially. The cash rate is expected to remain on hold well into the year, keeping home loan interest rates at near record lows and as weak employment figures continue to offset the strengthening property market. AMP Chief Economist Shane Oliver said employment is a lagging indicator.”With more forward-looking economic indicators showing signs of improvement – for example, housing approvals, retail sales and consumer and business confidence – jobs growth should start to improve by around mid-year,” he said. With a positive mortgage market outlook for the remainder of 2014 and with most experts predicting rates will remain stable for the remainder of this year, now could be the best time to enter the housing market or review your existing home loan commitments.